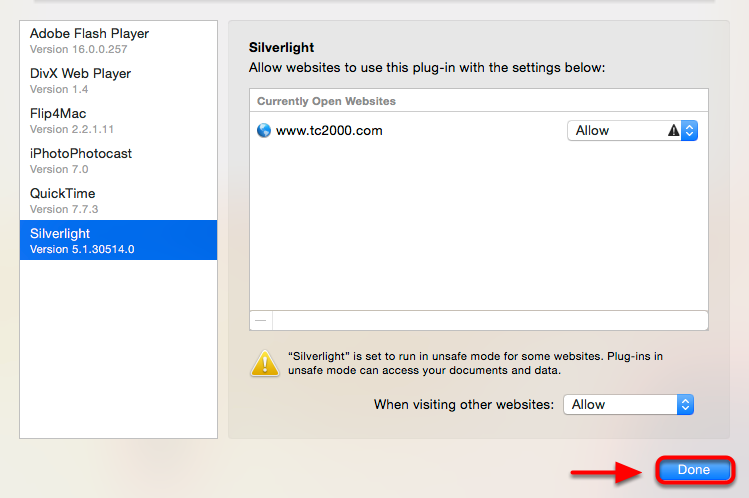 Use if repeatedly prompted to install Silverlight in Safari. 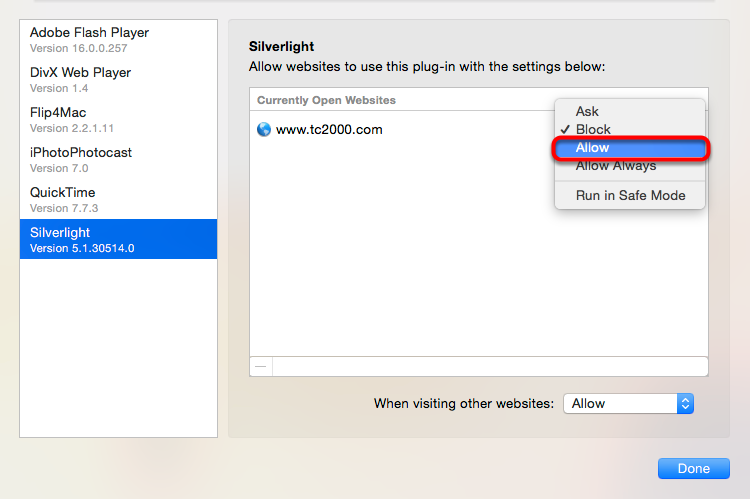 Make sure Silverlight is set to enabled in Safari. 1. 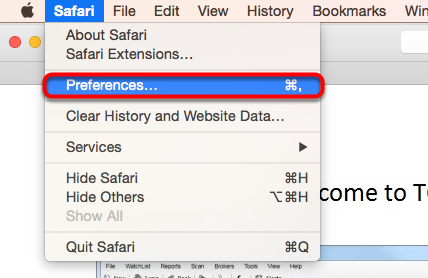 Click Safari in the top left corner of your screen. 3. Select the Security tab. 4. 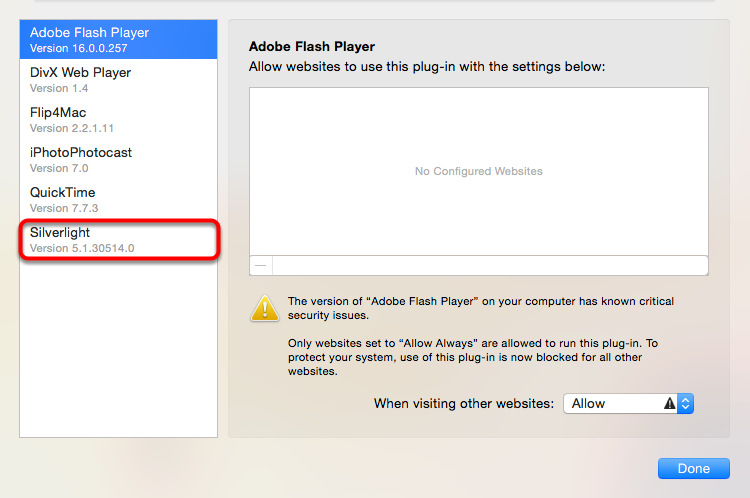 Select the Website Settings button next to Allow Plug-ins. 5. 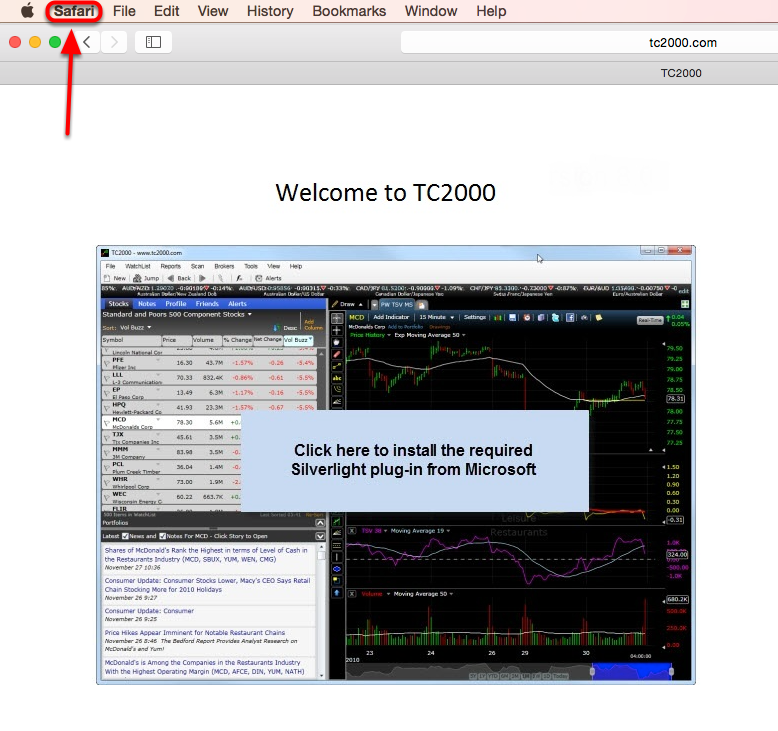 Select Silverlight from the list of Plug-ins. 6. 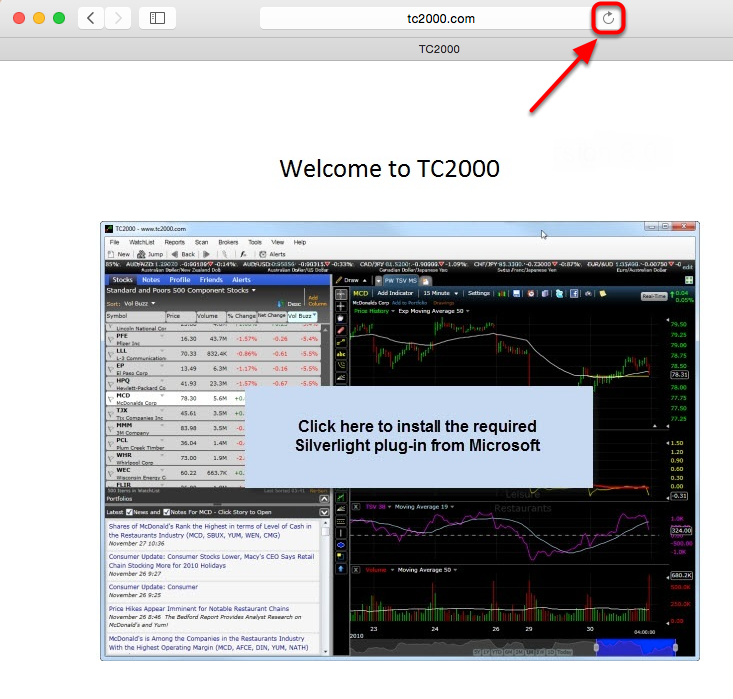 Select the dropdown menu across from www.tc2000.com and select allow. 8. Click the refresh button or press "Command + R". 9. 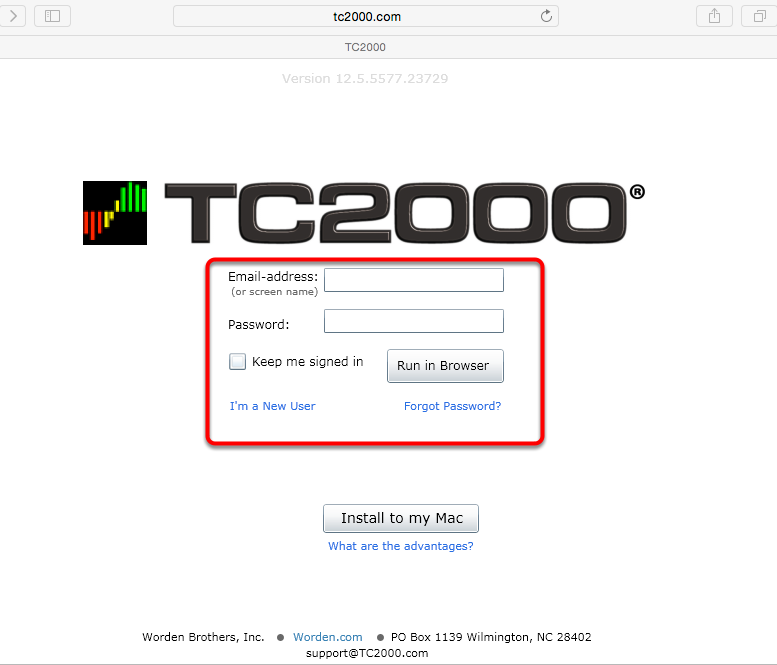 Sign in and run TC2000 as usual.